In this tutorial i would walk through simplifying the best method of monetizing your app which will be with stripe. Stripe is an awesome platform which helps you to take charges from bank accounts through debit or credit cards that they are linked to. To see more about this you can follow This. Understanding stripe means getting through some basic concept which i would be enumerating. Billing the card on a secure 'https' server. 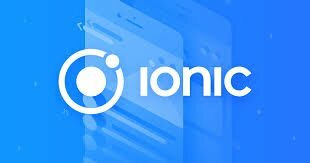 The first is what we will cover and can be done on you ionic application but the second needs to be done on your backend. Ionic has an inbuild cordova plugin which makes getting a token for a card way easier but this has its downsides which i would state as we get to that. The more suitable method would be to use the 'Stripe.js' library which is gives you full access to all the methods you may need. After this you can navigate to your index.html document which is the entry point for our application and add the stripe.js library to it. Since we arent using an npm package, we would need to declare a stripe variable so our compiler would know that stripe is declared elsewhere. So generate a new page using. If you don't have a stripe account you should probably create one. Head to the link i gave above and create an account there. When you do you can use the publishable key on your dashboard as stated in the code above. Stripe has a set of css styling preset when you use their library so you can just easily create a nice template for you users to input details with a simple amount of code .Since were using the library simply add a form to your html content. In you console you would see the token data that stripe returns. This function will return a promise which would contain the card details. We suggest you put some picture on what you are developing. A tutorial with only text and code becomes very monotonous and unattractive for the reader to read to the end. Thank you for your good work in developing this tutorial. We are waiting for more tutorials.